This Spicy Tuna Sushi Stack is a great lunch option or a fun dinner idea. Super easy to make at home, and perfectly portioned. My family and I love sushi but making it at home is tough and the kids sometimes take the sushi apart to remove the seaweed. This recipe leaves the seaweed out and the presentation looks like a gourmet meal. 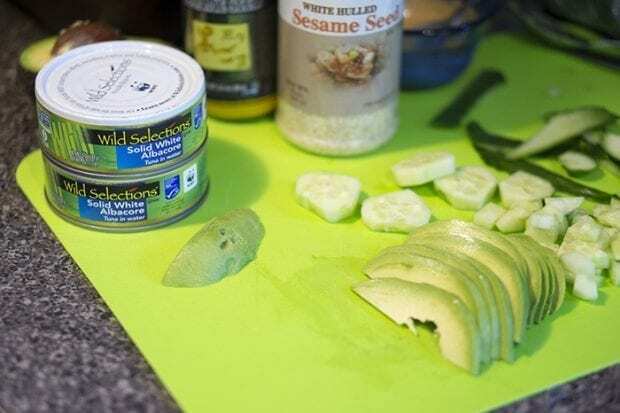 For this recipe, I used Wild Selections® Solid White Albacore Tuna. I blended it with a sriracha mayo to spice it up a little. I love that Wild Selections is the only full line of Marine Stewardship Council (MSC) certified sustainable seafood. The blue MSC eco-label tells you the fish in your can comes from well-managed fisheries and healthy fish stocks. They also actively give back to the oceans by donating 13 cents from every can sold—a total of $1 million by 2018—to World Wildlife Fund marine conservation and fishery improvement projects. I love getting behind companies that like to “pay it forward” and act on its belief to take care of the oceans for the future, not just fishing sustainably in the present. This recipe makes enough for 2-3 sushi stacks. You could make everything ahead of time and store it for easy lunchtime meals also. Check out the video I made to show you how easy it is. I always wondered what everyone's obsession with stacked foods ways and now I totally get it. It's easy and it looks really pretty. I've had a few stacked salads that were really cool also. I can't wait to try other sushi stack combinations. I think this one because it is perfect for when I'm working and don't have a lot of time for lunch. 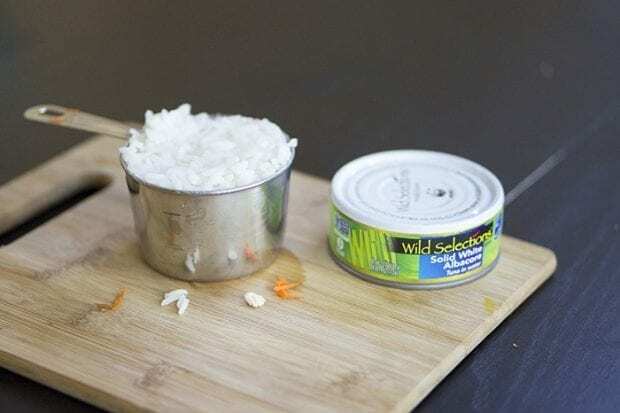 Something as simple as a can of tuna can be a wonderful meal. Blend the mayo and sriracha and set aside. Cook rice as directed, add rice vinegar at the end while fluffing. Drain the tuna of all water. Combine tuna with half of the sriracha mayo, leaving the rest to use at the end. Take a 1 cup measuring cup and begin to layer your sushi stack. Sprinkle the sesame seeds into the bottom of the cup. Add cucumber, carrot and avocado layer. Scoop spicy tuna into the cup and use a spatula to press it down. Add rice and press down again. Flip cup over onto plate and tap to loosen the contents. Slowly pull cup straight up. Finish by drizzling the remaining spicy mayo over the top and add a few more sesame seeds if you'd like. I love that you made a tuna stack, because making rolls at home can be so hard! The color of the dish is very courteous and beautiful. Recipe recipes are not that complicated in line with family meals. I will try to cook this dish for dinner. Thank you for sharing this recipe with me.